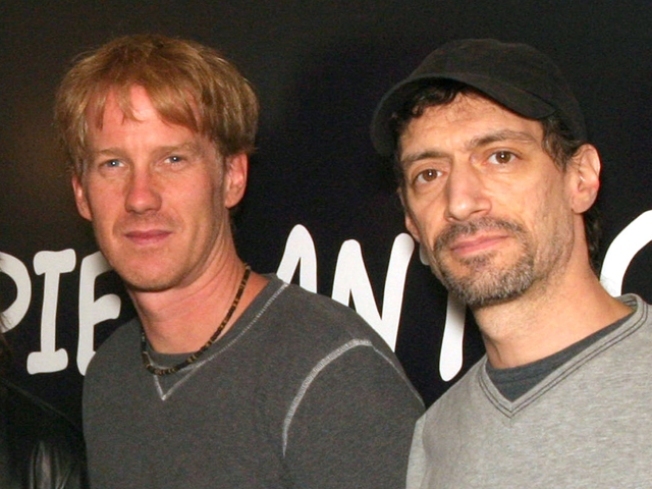 Anthony Cumia (right), one half of the longtime Opie & Anthony show, has been fired by SiriusXM. Anthony Cumia of the "Opie & Anthony'' radio show has been fired by SiriusXM, who cited his "racially charged'' and "hate-filled'' remarks on Twitter as the reason. SiriusXM spokesman Patrick Reilly said Friday that Cumia's remarks and postings were "abhorrent'' to the satellite radio company. Cumia's response Friday on Twitter included an obscenity in relation to SiriusXM. He says he was fired over material that was not aired and was not illegal. A report on USA Today said Cumia went on Twitter earlier this week to relate a run-in he had with a black woman in Times Square. He called her "a pig" and an "animal" after he said she punched him in the face as he was trying to take a photo, according to the report.